It’s that time of year again. 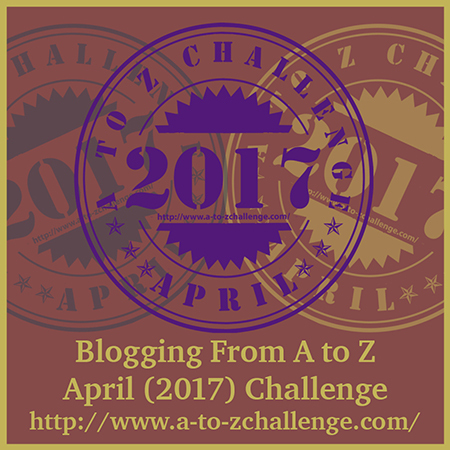 The time when hundreds of bloggers come together and participate in the much anticipated annual event - A to Z Blogging Challenge. Each day in the month of April, with the exception of Sundays, will be represented by a letter of the alphabet. It can be a lot of fun and challenging at the same time. This year will be slightly different than years past, as the month begins on a Saturday, and to accommodate the schedule, Z will occur on a Sunday. Another difference this year to the challenge is that there is no signup list. We will be using hashtags and utilizing the AtoZ website as well as AtoZ facebook page to post our links. It's not too late to join in the fun! Visit http://www.a-to-zchallenge.com for details and the latest information. I will also be participating in our regularly scheduled Battle of the Bands during this month, and I’ve got the battles all prepared to coincide with the correct letter of the alphabet. I do hope that you will participate in voting in the battles, and if you are interested in participating with your own blog with the battle of the bands, you should most definitely contact Stephen McCarthy (just leave a message on his latest blog post and he’ll respond) to join in the fun. 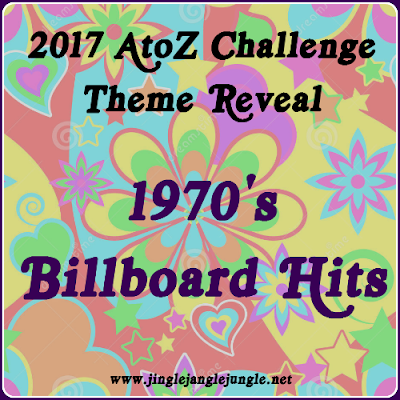 The purpose of this post is to reveal my theme for the A to Z Challenge. Before I get into that, let’s review previous year’s themes. This will be my 3rd year participating. The first year I participated, I started out with just miscellaneous tunes and artists, but it evolved very quickly into a wonderful theme of Musical Earworms. Last year was my 2nd year participating, and I was a little bit more prepared than the first year. My theme last year was Women in Music. Now, in the spirit of full disclosure, there were three letters that did not have songs that hit the billboard list. But not to worry, I’ve found songs for those three letters that were released during the time period and fit in quite well with the theme. The A to Z Challenge is done in the spirit of fun, and if you would like to make guesses each as to which songs will be used for the next posts each day, that would certainly be welcomed. Here’s a sample of what you MIGHT get to hear during the month of April. I look forward to your comments and if you are participating, visiting your blogs as well. Each day, I will also be updating a playlist on YouTube that will feature the songs used in this year's posts. 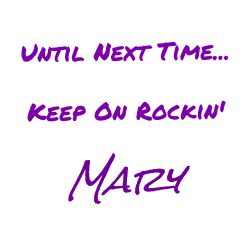 Hi Mary - I loved your theme last year, so I hope to learn some stuff this year as well :) I didn't really start listening to music until the 80's, so this should be interesting! Thank you, Sophie! If it weren't for the influence of older siblings, I wouldn't have really started listening to music until the 80's as well. Am looking forward to everyone's posts. I love music posts so will look forward to yours. Thank, Suzy! If you love music posts, I hope you'll stop by year-round. During the year, I like to talk about all sorts of genres and decades, the new and the old. Thanks, Shalz! I hope to make your month a great one! Mary, I love 70's music! I can remember your posts last year...they were so informative! See you around on the A to Z circuit. Thank you, Michelle! I am also looking forward to what you bring to the challenge. Thank you Sarah! There will be plenty of good music here! Of course, music is subjective, but I figured I can't go too wrong with Billboard Hits. Looking forward to your theme as well. Thank you, Debbie! I am looking forward to your theme as well. Will we be seeing another ebook come out of your challenge? So many great music themes this year! I'm really looking forward to yours, Mary. Also love the Youtube playlist idea and might do the same. Happy A to Z-ing! Thanks, Debbie D! I've missed seeing you around the BOTB circuit. I love the playlist idea as well. I play it throughout the year. Sometimes drawing new inspiration from it, other times, just enjoying great music. Your playlist idea is inspired and I will be doing that, as well. Thanks! ☺ BOTB will be back on May 15th. I needed to spend more time offline and also get back to some actual writing on the blog. Now of course, there's the A to Z and it's too hard for me to do both, this time. Good for you for continuing on with it, though! It's good to take some time every once and awhile, and I'm glad to hear that you'll be coming back soon. It's those that don't have a goal date for return that I really worry about. The more time one spends away, the easier it is to just not return. My favorite era of music! And we've got to do Battle of the Bands. Sounds like you've covered everything important. Thanks for the info in this post. Lee, I wouldn't miss this for the world. If AtoZ were to be officially cancelled, I think I would have just gone ahead and done it anyway. I truly appreciate the efforts that you and the others have put into this. Battle of the Bands is another thing that I look forward to each week. I have learned so much from everyone, expanding my love for music even more. Looking forward to another successful challenge! Thanks, Melissa! I am truly looking forward to it as well. This should be pretty educational for me, as I'm much too young to know much music from the 1970s. I hope Flock Of Seagulls, Cyndi Lauper and Boy George will be included -- I loved those artists! Personally, I'm looking forward to further disappointing you with my battle of the band selections, as well - especially since the songs have changed since I last told you what they were going to be. Since I was a teen in this decade and listened to Casey Kasem's countdown every week, I look forward to your posts! It's hard to imagine that I, too, spent my teenage years in this decade. (I like to think that I'm much younger) My sister was 11 years older than me and we shared a room, so I was exposed to some really great music at an early age - and if I wanted something that rocked a little bit harder than her tastes - I would just meander down the hall to my brother's room. Looking forward to a great challenge! I can't wait to share some memories with you! Mary, Hooray for 70s mewsic! I was 9 years old in 1970. Those early years I remember those hits being played when I was older but the 70s is a grand decade for some fine tunes. I can't wait to check out your daily A2Z posts! Thanks for stopping by to read my theme reveal on Curious as a Cathy! Hi Cathy! I was only 5 years only in 1970, but having older siblings got me quickly indoctrinated with good 70s music. It's amazing how impressionable we are when we are younger. Thanks for dropping in to show your support. It's going to be a great month for us all! I enjoy these battles... well, other than, I tend to lose virtually all I participate in, I enjoy them... Seriously, music is a big deal to me. Often, I get to hear tracks I have not heard in ages, and there is always the opportunity to hear new music. I enjoy hearing the various arrangements of songs. It's fun to see how an artist takes someone else's song and makes it their own. Hope to see you around during the challenge and after! For a long time, I assumed Seventies music was mostly all either disco or cheesy rock lite. It was only as I got into my twenties that I began discovering what a wide range of music the decade covered. I was born at the tail-end of the decade, so I was only consciously introduced to the music later on. Isn't it so much fun to discover the different things about music. I can't wait to share what I've learned about this particular decade. Thanks! It is my hope that you will find it enjoyable. Your theme sounds pretty interesting. Aeroforce 1! Huge fan of Aerosmith. "Does the noise in my head bother you?" Seventies music is especially awesome, makes for a super theme. All the very best for a great A-Z! Thank you! I am especially looking forward to it. I love this idea! I'm excited to follow your journey and discover new music! Love that Aerosmith song - brings me back to my younger years! I hope to bring back lots of memories, and also be able to introduce more music to you and the others. Music is such a large part of life. The AtoZ Challenge is for all bloggers, regardless of niche, so if you would like to join in the fun, we'd love to have you. I'm not as big a music fan as my son but I love reading your posts. Thank you! Hopefully, I will be able to convert you into a bigger music fan ;) I once had a 'friend' that didn't like music at all. She said it was all 'just a bunch of noise'. We are no longer friends. There's no room in my life for that kind of negativity. Oh I'm super excited about your theme. With the exception of some 80's music, the 70's is my all time favorite. I was just a kid, like even at the end of the 70's I was still not old enough to drive or even appreciate the music, but I had five older brothers and sisters in high school and juinor high so I was constantly exposed to the music of that era and it's still with me. Hearing it puts a smile on my face- puts me in a good mood every time. My kids make fun of me. Every time a song comes on the radio they make faces at me and say things like, " Did people really like this?" "Mom is this what they call the disco era?" I just laugh because I don't even know how they can hear it with their own earbuds in. The world they live in and the one I grew up in is so different. I know they are far more advanced and fortunate in many ways, but I truly worry about them in other ways. When we were kids we listened to Music together as a group with our friends. It was something of a bonding experience. Today they ride in the car or sit in a room - groups at atime, each listening to a different song or artists on Their iPhone with their headphones on. They seldom look up to interact or communicate with each other. It's the same with the damn talking . They don't. They text. Even from room to room in the same house: sometimes I wonder if I'm the only person who's worried that they're losing their social skills. Sorry I've gone way off topic. Can't wait to visit you in April and take a trip back to the good ole days. It sounds as though you and I have similar circumstances. The majority of the 70's music in my life was due to the influence of my older brothers and sister. I am really looking forward to April and all that it brings. While I still have quite a few posts to write for the month, my mind is already thinking about next year's challenge. Looking forward to your Challenge posts in April ,Mary! All the very best! Looking forward to you posts as well! Sounds awesome and well done for finding songs to go with the tricky letters! I very much look forward to seeing which hits you have chosen. Sorry for taking so long to return your comment - I have been madly trying to catch up after my hols. Thanks, Natasha! I'm really looking forward to this as well... now if only I can get out of Facebook Jail!